Kushina&Minato. . Wallpaper and background images in the কুশিনা উজুমাকি club tagged: kushina&minato. ha-ha-ha! How cute! 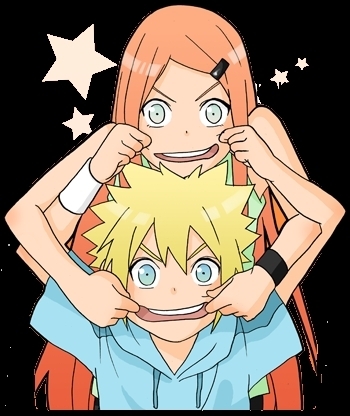 Kushina and Minato are a cute couple! I wish there's an episode in Naruto which they're both little kids and they will become teenagers and they will fall in love..